Plastic is everywhere - including a lot of places you don’t want it to be. In this adventure documentary, journalist Craig Leeson searches for the elusive blue whale, but ends up discovering plastic waste in what should be pristine ocean. Teaming up with free diver Tanya Streeter and an international team of scientists and researchers, they travel to twenty locations around the world over the next four years exploring the fragile state of our oceans, uncovering alarming truths about plastic pollution, and best of all, revealing solutions that can be put into immediate effect. This film has been generously sponsored by Zoetica; Oceanic Preservation Society; and by SmithWorks Natural Homes. Intimate, soulful and heartwarming, a genuine portrait of a real "Modern Family." Some of the best characters we have ever seen on screen. Erik and Sandro are a gay married couple whose friend Rachel is the surrogate mother for their first, and hopefully their second, daughter. Rachel, who’s in her 40s, is married to Tony, and they have three children of their own. Together, they form a unique cadre and offer a loving glimpse into a modern American family. This film has been generously sponsored by Tony Barnard and Rick Barnhart. An insider’s guide to the “patriots” fight for Western land rights, and the well-armed militia responsible for it. One of our most controversial films. With unfettered access, No Man’s Land gives a detailed, on-the-ground account of the 2016 standoff between protesters (led by Ammon Bundy) occupying Oregon’s Malheur National Wildlife Refuge and federal authorities. From inception to dramatic demise, No Man’s Land tells the story of those on the inside of this rebellion, examining what draws Americans to the edge of revolution. By CBFF alumni David Garrett Byars. You’re walking in the woods. A strange sight appears: a bear, dead in a metal bin. You give it a poke with your knife and 2,400 volts of electricity fire through your body. Chef Anthony Bourdain explores why 1.3 billion tons of food (or $218 billion dollars of food) is thrown out every year - and what can be done about it. Every year 80% of the world’s water, 40% of the world’s land, and 10% of the world’s energy is dedicated to growing the food we eat, yet in the same year 1.3 billion tons of food is thrown out. That’s a third of all food grown around the world being wasted before it even reaches a plate. WASTED! The Story of Food Waste sheds a light on the pressing issue of food waste. The film offers solutions like reorienting consumer perspectives on the food that is normally cast aside, and what changes we can make to our food production chain to create a more sustainable food system. Starring chefs Anthony Bourdain, Dan Barber, Mario Batali, and Massimo Bottura. This film has been generously sponsored by Larimer Associates & Good Food 100; and by Ursla and Matthew Null. A first-hand account of the crisis in Syria through the eyes of its civilian victims, and how it just might relate to America. This historical exploration of the humanitarian crisis in Syria and the civil war that has defined it focuses on child protesters, revolutionary icons, and high-ranking Army generals who defected to join the fight of the people. Cries From Syria tells the story of a Syrian people who have never lost hope, no matter how horrible their situation. It is an absolute must-see for those who care about other people and want to achieve a greater understanding of the situation in Syria. The film takes the audience on a unique journey in time, from Syria to Turkey, through Jordan, Lebanon and into Europe, where we see the situation from the inside out, and through the cries from Syria. He blew up the art world in the early '80s. An enthralling look at the personal life and public career of New York artist, Julian Schnabel. Beginning with his formative years as a Brooklyn transplant in Brownsville, Texas, Julian Schnabel: A Private Portrait chronicles the personal life and public career of the celebrated artist. The trajectory of the gregarious Schnabel’s meteoric rise to the apogee of the Neo-Expressionist movement began with his move to New York in the late 1970s. The film neatly captures the stages of his career as he moves from young art world upstart, to superstar of the 1980s Manhattan art scene, to his deft transition to filmmaking with lauded works like Basquiat, Before the Night Falls, and The Diving Bell and the Butterfly. The film is a kaleidoscopic blend of material from Schnabel’s personal archive of home movies and photographs, alongside newly shot footage capturing the artist in the studio and at home. Featuring Bono, Al Pacino, Mary Boone, and Willem Dafoe — not to mention the artist himself — this completes a fascinating and complex image of one of modern art’s most boisterous and provocative figures. This film has been generously sponsored by Nicholas Reti, Oh Be Joyful Gallery; and by Peggy Mintz Brody. Athletic drinking? That's just the beginning... Set in the snowy backyards of Boulder's Martin Acres neighborhood, Quaff Kings is the incredible, thirst-quenching, true story about a rag-tag, hippie-flavored drinking team's quest to take on the world and achieve beer glory. Pass me another draft of that PBR! This film has been generously sponsored by James Brennan, Wendy Chatham and CB Enterprises. Interested in what really happened in Ferguson? This is your film. 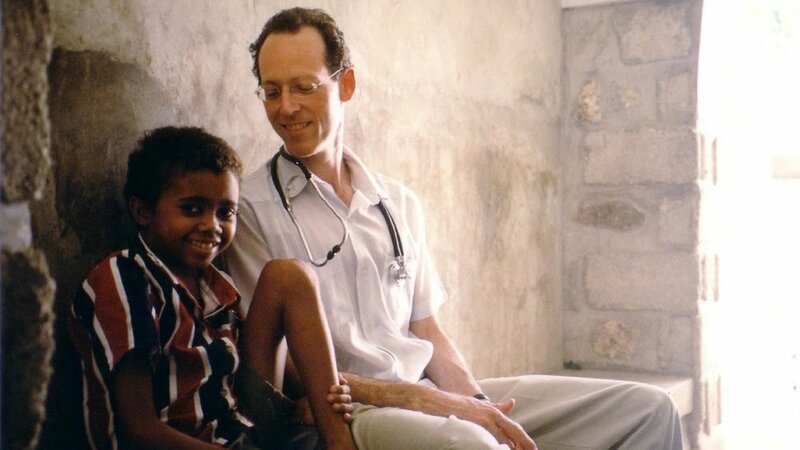 Meet the fearless doctors who tackled tuberculosis in the developing world and AIDS at home. The extraordinary doctors and activists whose work 30 years ago to save lives in a rural Haitian village grew into a global battle in the halls of power for the right to health for all, creating one of the most powerful and effective nonprofits in history: Partners In Health. One of the most moving and inspiring films of the year. Featuring Dr. Paul Farmer, Ophelia Dahl, and Dr. Jim Yong Kim. This film has been generously sponsored by Jennie and Sean Reilly; and Berek Novak, Donna Kindervatter & Kathy Cox. Perhaps our most challenging and controversial film. An intimate portrait of suicide bombers working for Al Qaeda in Syria. From the Saudi who loves singing and fried chicken, to a 26-year-old white British convert who worries about his new wife, this remarkable film follows an unlikely bunch of "martyrdom seekers", each waiting their turn to go on a final mission, known by Jihadis as 'Dugma'. In scenes of contemplative beauty, this profound documentary lays bare the faith and doubt at the core of men who seek to become suicide bombers. With incredible empathy, Starless Dreams delivers an unforgettable cinematic portrayal of restored innocence and humanity. A haunting portrait of stolen childhood, Starless Dreams plunges the viewer into the lives of seven young teenage girls sharing temporary quarters at a rehabilitation and correction center on the outskirts of Tehran. The film follows a group of under 18-year-old girls taken into care for a variety of reasons ranging from drug dealing and trafficking to pick-pocketing and manslaughter. We’re all fans of World Cup soccer... We may not be after we gain a glimpse into the lives of those building the stadiums for us. Inside Qatar's labor camps, African and Asian migrant workers building the facilities of the 2022 World Cup compete in a football tournament of their own. In 2022, Qatar will host the biggest sporting event in the world, the FIFA World Cup. But right now, far away from the bright lights, star athletes and adoring fans, the tournament is being built on the backs of 1.6 million migrant workers. The Workers Cup gives voice to the men who are laboring to build sport’s grandest stage.